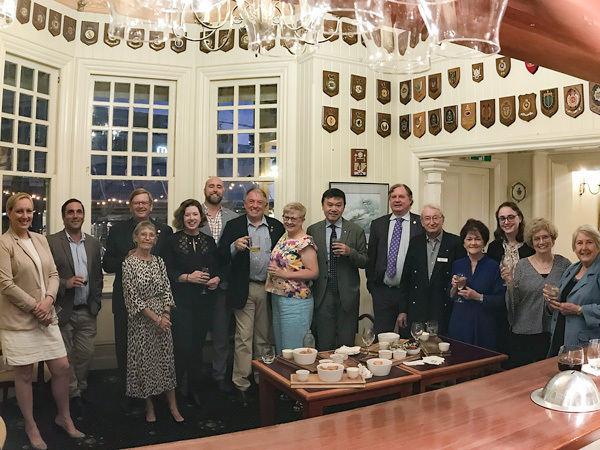 The Club Assembly meeting on 18 March saw sixteen members and five guests, a number of whom are likely soon to be members, enjoy presentations by committee chairs on our membership, activities and finances, all of which are progressing well. Graeme Whitmore also spoke to his suggestion the Club pursue a major project which would be delivered in time for our Centenary in 2023. Graeme’s proposal is that we arrange construction of a substantial accommodation building for the “Young Care” Charity and he encouraged us with a practical plan to achieve this goal. 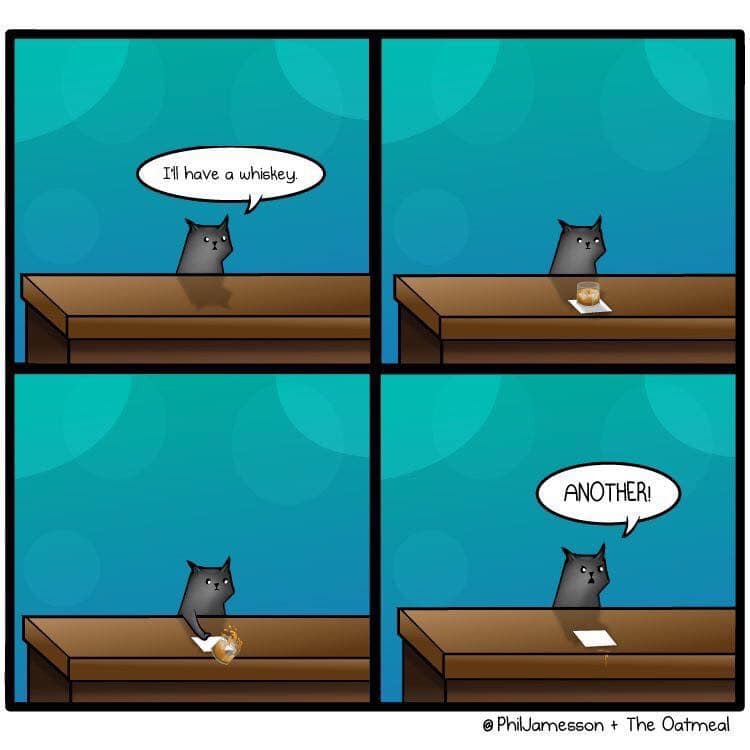 Although we did not quite have a quorum for the second half of the Board meeting when we discussed Graeme’s proposal, those present were all very positive about it. I received a very friendly email from Prof. Bernie Degnan, thanking us for our hospitality. Bernie obviously greatly enjoyed his visit and has offered to return in about two years to give an update on his research and the situation with the Crown of Thorns starfish at that time. Jillanne Myers and James Delahunty are currently out of action following surgery. We wish them all the best for a trouble free recovery and look forward to their return to the meetings. 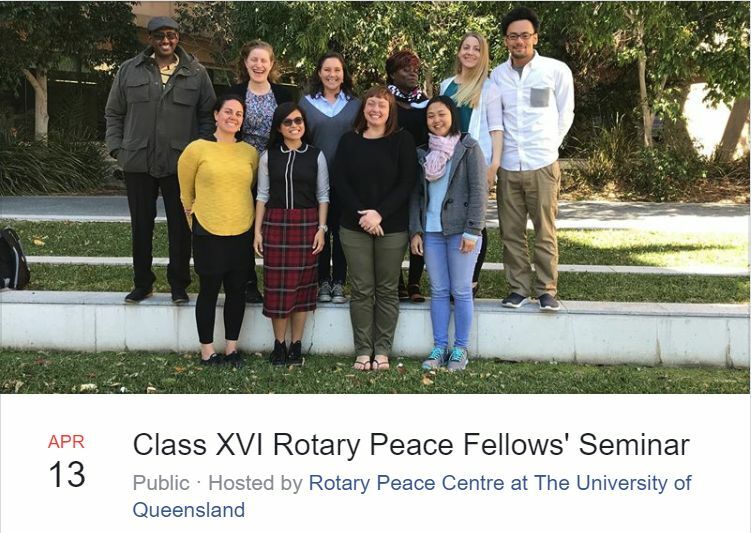 The Rotary Peace Fellows Peace Seminar will be held on Saturday 13 April at Univ of Qld Women’s College. This promises to be a most interesting day with the Peace Fellows sharing their experiences and exploring how building substantial peace is possible through everyday practices. It is also the University’s way of thanking Rotary for its contributions, support and funding of the Peace Fellowship Program. All are invited and paticipation is free including complimentary lunch, tea and coffee and your first drink and finger food at the cocktail hour following the seminar. To register please visit https://bit.ly/2u5E7EU or contact Mark Williams. The opportunity also exists to act as the local contact for one of next year’s Peace Fellows, a very rewarding and valuable exercise. Any members interested should also contact Mark Williams. Unfortunately Max Winders has to postpone his presentation, originally scheduled for Monday 25 March, but there will be a review of the District Conference to replace this. Please also note the presentation on 29 April by James Peterson on living a mentally healthy lifestyle. Cameron Gibson is in the process of arranging a public appeal for North Qld. in the Macarthur Centre and volunteers will be needed to cover three to four hours a day over three days. The Club will doubly match any donations and they will be evenly split between “Blaze Aid” for the rural areas and “St Vincent de Paul” for Townsville. Club members and friends can make tax deductible donations through the club. The District Conference was excellent with a great variety of speakers and presentations which were all very interesting, and often inspirational and entertaining as well. The Club had seven representatives and Keith Watts, Dan Adler, Dymphna and myself each gave a short talk on our experience of the conference at the meeting on Monday 25 march. All of us were very positive. 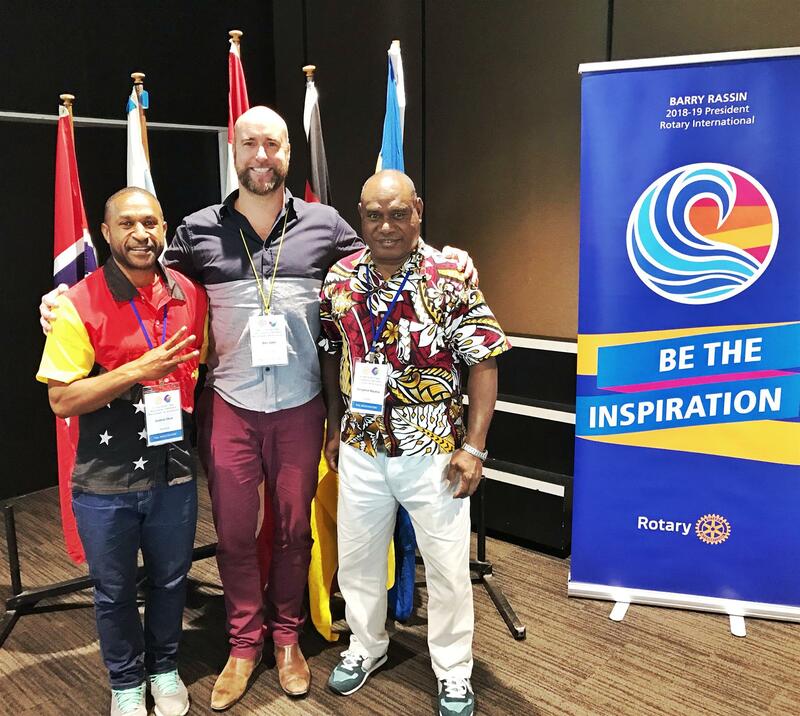 I strongly recommend attendance at the 2020 conference as a way to see a much bigger picture of Rotary as well as to enjoy the company of many of your fellow Rotarians. Please consider attending the Dinner with Prof. Alex Haslam on Wednesday 15 May and joining the Golf Day on 14 June or contributing a donation or sponsorship for the Golf Day. There will be no lunch meeting on Monday 1 April but the usual social gathering will be at the United Service Club on Friday 5 April. 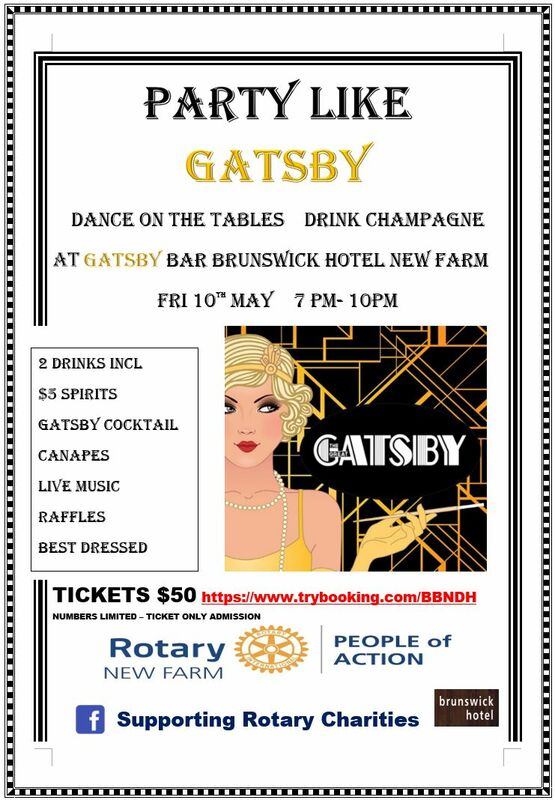 Please go to Club Runner website to book for the social evening. 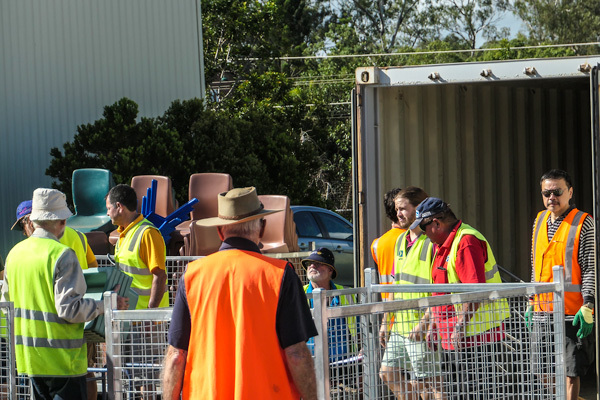 Rtn Cameron Gibson has once again volunteered to coordinate the collection, and the Macarthur Central Shopping Centre has once again kindly offered to allow us to conduct the collection on their premises. email Mark Williams or Cameron Gibson to indicate your availability for this. The club has agreed to run a BBQ Breakfast for the RSPCA “Million Paws Walk” on Sunday 19 May and we will need volunteers for this. Being a Rotarian is not ok!. Ok is the status quo. Ok is not the reason we serve, it's not the reason we donate, it's not the reason we spend our time helping our community and our world. We are not in Rotary to be comfortable. We are here to change things. We are here to build a better world for everyone. 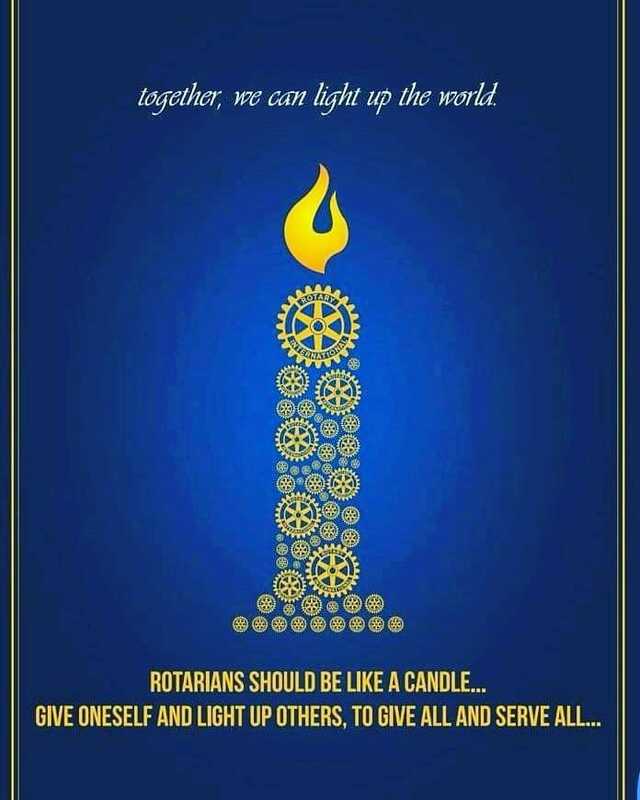 Being a Rotarian is not ok. 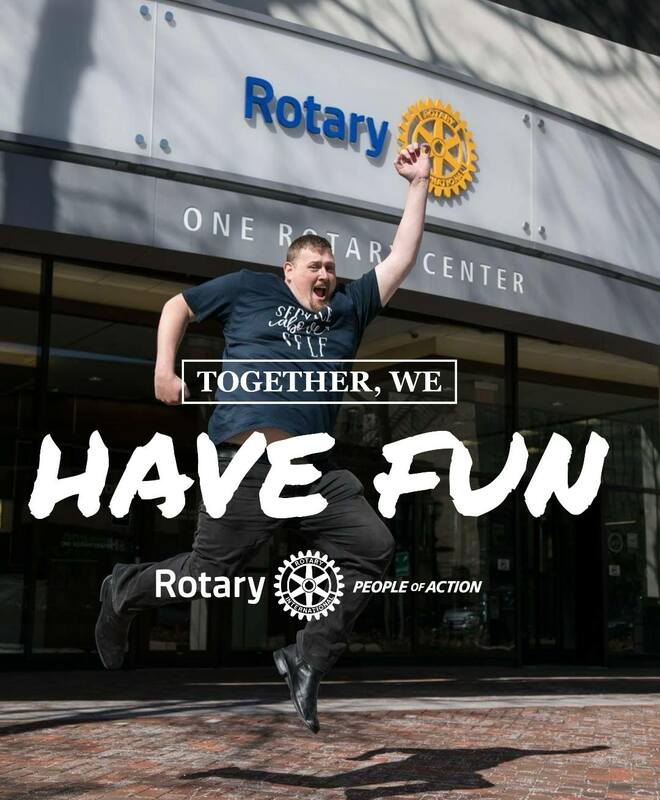 Being a Rotarian is awesome!! Be Fun, Be Positive, Be the Inspiration. Chair for the day was Ryan Muller, who opened the meeting with grace and toasts before inviting President Chris Muir to the podium to welcome guests and deliver his weekly address. President Chris warmly greeted a large contingent of guests, including Suri Portra, Edwina Sullivan, Colleen Middlemas, Matt Christopher, Paul Gades and Mark Scanlan and his report is reproduced in full above. PN Dan Adler reported that he had been working closely with DGE Darryl Iseppi on logos and publicity for Darryl's transition to the role of DG on 30th June. PP Graeme Whitmore reported on initial publicity for the annual golf day and proposed that the surplus from the golf day be donated to Youngcare who provide appropriate accommodation for disabled people who would otherwise be accommodated in aged care centres. Graeme also proposed to members that a project in conjunction with Youngcare would be a very suitable major project to coincide with RoCB's 100th anniversary in 2023. The kind of project he had in mind was to build an accommodation facility on purchased or donated land that would be operated afterwards by Youngcare. Graeme went into some detail of the feasibility of the project based on his expertise as a quantity surveyor. The proposal was met with some enthusiasm from members present and it was referred to the club board for further discussion and due diligence. Sec Mark Williams urged members and guests to seriously consider attending the district conference on March 22-24 and the annual Peace Fellows' seminar on Saturday 13th April. Mark also gave a brief summary of finances on behalf of Treasurer Warren Walker who was unable to attend the club assembly. PP Keith as membership chair reported that the club currently had 35 members of whom 5 were women. Likely new members include Mark Scanlan, Katrina Roetteler and Michael Roetteler all of whom had submitted applications to the board and Celia Grenning, Matt Christopher and Colleen Middlemas who have told us they intend to apply. Ryan Muller gave a brief report on foundation activities which currently mostly centre on our sponsorship of two RI Peace Fellows. There is also a pending application for a global scholarship from Dr Nicolò Di Tullio who wants to study in Brisbane which is currently pending. There being no time for a sergeant's session, members were asked to contribute to the urns and we went straight to the drawing of the raffle. Chris Muir had the winning raffle ticket, but the joker eluded him so the raffle jackpots again. Chair for the day was Tony Pilkington, who opened the meeting with grace and toasts before inviting President Chris to the podium to welcome guests and deliver his weekly address. President Chris reported that he had received apologies from Jillanne Myers, Jaqui De Lacy, Phil Little and James Delahunty and hoped that Jillanne, Jaqui and James would be up and about at the earliest possible date so that we could see them again. Chris also welcomed Katrina Roetteler whose application for membership has already been approved by the board. Business for the day was a series of spots by members who had attended the District conference on the previous weekend. Dan Adler, Chris Muir, Dympna Muir and Keith Watts all spoke about their impressions of how the conference went. Over the 3 days, 7 members and soon-to-be members attended the conference, and all were impressed by the quality of the events and the presentations. Some photographs from the conference are shared below. Topics covered ranged from modern slavery to moving with the times. Many Rotary programmes had booths in the exhibition. 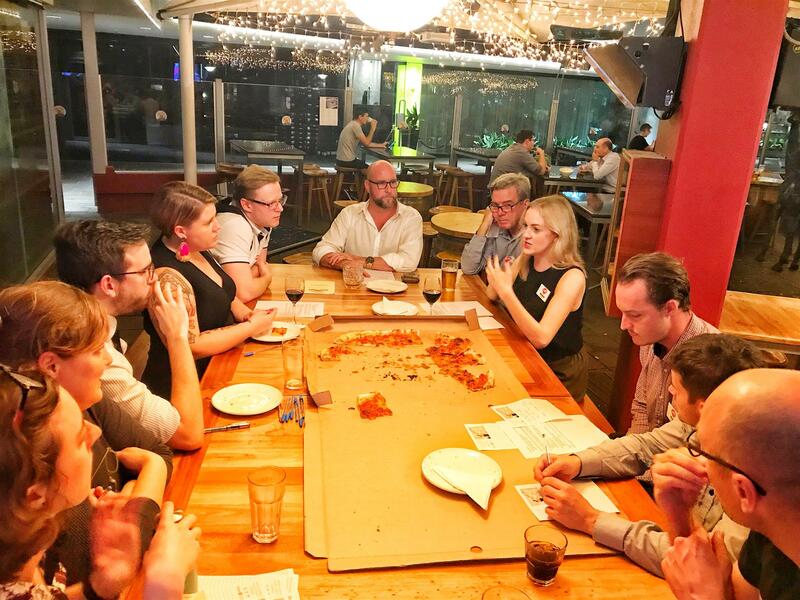 Dan Adler also reported on a very successful vocational evening held by the Rotaract Club of Brisbane Rivercity on Wed. 20th March at which he and Rtn Luke Marshall served on the team of advisors. Dan Adler at the Rotaract Brisbane Rivercity vocational evening. Sergeant Pilko of the 3rd armoured pocket-reaming corps did his job well and much dosh was transferred from members' pockets to the club coffers. The raffle was drawn and the joker deemed AWOL. The raffle duly jackpots to next week. The cocktail meeting on the 6th of April at the United Service Club was a pleasant affair with 16 attendees including 4 very welcome guests - Matt Christopher who we hope will be joining our ranks very soon, Catherine Seton who is looking the club over, and Sabine Connolly and her partner Isaac who are committed to community service and investigating Rotary as an avenue for service.